Boston hits its summer stride with an action-packed weekend on tap. From Copley Square to City Hall Plaza, on the Common and along the Greenway, and just north of Boston, this weekend is unlike any other and it&apos;s all FREE!! So get ready, start planning, and let us help!! 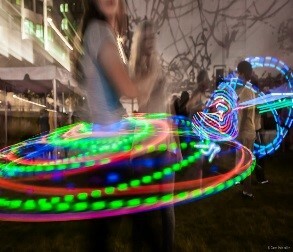 Here are five can&apos;t-miss summer events happening in Boston this weekend. 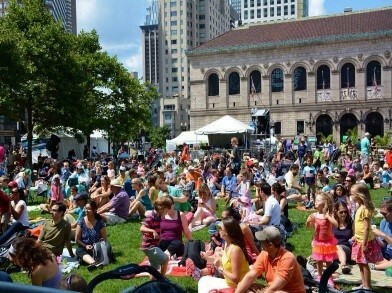 The 4th Annual Boston Summer Arts Weekend, a collaboration between WGBH and the Boston Globe, takes over Copley Square July 25-26. The festival begins Saturday morning as a family-friendly extravaganza of Jitterbugs and jugglers before turning to Afrobeats (featuring Berklee College of Music Professors) and a taste of the Big Easy with the Dirty Dozen Brass Band playing their distinctive style of funk-infused New Orleans Jazz. As dusk descends the eclectic dose of Americana continues as R&B songstress Bettyve Lavette takes the stage at 8:15pm, and the first day concludes with Emmylou Harris and Rodney Crowell&apos;s poignant ballads reminding us what true country music sounds like. On Sunday, Handel + Haydn Society continues its bicentennial celebration with a performance of Beethoven&apos;s No. 9 Symphony. The festival comes to a close with Aaron Neville performing at 4:45pm; I don&apos;t know much, but I know you&apos;ll love Boston Summer Arts Weekend so check it out!! For more FREE music head to City Hall Plaza on Saturday, July 25 as Caliente! returns for its 8th year. One of New England&apos;s largest celebrations of Latin American music and culture, Caliente! is headlined by "El Presidente Del Merengtue," Raúl Acosta, and his group Oro Sólido. Berklee student Esther Rojas, of Columbia, will be the opening act showcasing her unique blend of Latin Pop, salsa, and jazz. A different kind of creativity happens on the Greenway, where FIGMENT Boston incubates an interactive and interdisciplinary arts experience: dance, music, art, theatre - you name it - and from improvisational theater to experimental electronics and LED Color Drop installations, FIGMENT Boston will mesmerize and inspire. Creativity catalyzed for FREE!! Speaking of FREE, Commonwealth Shakespeare Company celebrates its 20th season of a beloved Boston tradition, Shakespeare on the Common, with performances beginning this Wednesday and occurring every night (excluding Mondays) through August 9. This year&apos;s production is King Lear, with the brilliant Will Lyman playing the role of the aged monarch troubled by torn devotions and dementia&apos;s insidious creep. Another famous summer tradition occurs just to Boston&apos;s north as the 2015 Revere Beach National Sand Sculpting Festival takes place July 24-26. 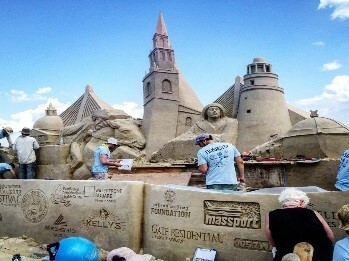 The festival attracts more than a half million spectators and the sand artists&apos; remarkable feats never cease to amaze. The Master Sand Sculptor Competition will play out over 4 days as 20 artists from across the globe contend for sand-sculpting supremacy. A dynamic weekend is about to hit the Hub. Five FREE events, offering diverse experiences, but all connected by one common thread: creative and cultural Boston fun at absolutely no cost.